Riddle Question: Where do fish keep their money? We can probably all agree that fish do not have pockets, but some may argue that they have money. 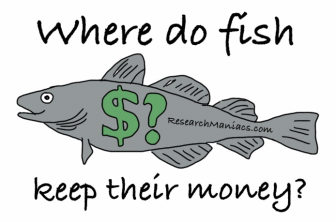 The obvious riddle question becomes: Where do fish keep their money? The answer is of course the Riverbank. The riverbank is at the edge of a river. So if you are looking for fish money, look alongthe edge of the river.